Look at you. You obviously have great taste in clothes. You know what looks good and what to avoid. Here's some meta-style advice that will simplify your life, unclutter your closet and help you look your best. Just wear the good stuff. Not all the cars in a Nascar race come in first. No matter what your wardrobe is currently like, some of your clothes suit you better than others. You wear some clothes lots, while others pad your closet. Project 333 has thrown down the gauntlet against overstuffed closets. Here's how it works: Pick 33 items of clothing. That's your wardrobe for the next three months. Burn your ships. Discard, donate or sell the clothes that didn't make the cut. 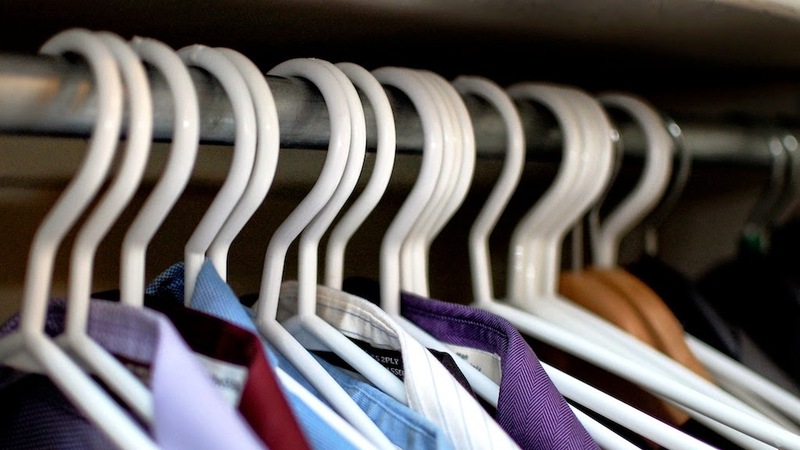 If you save your 'ugly' clothes in your basement, you'll miss out on some of the benefit. By preemptively pruning your choices, picking what to wear becomes much easier. You won't waste energy wondering if you should look elsewhere. However, it's okay to stash a few seasonal items that don't make your 33 this season. The Project 333 website has loopholes (like sleepwear) if you need a little leniency. You'll look better and feel better. You're only wearing your best clothes, and there's less decision fatigue when you have fewer things to pick from. Save your limited decision making energy for things that matter. Then in three months, switch it up for next season and go again.